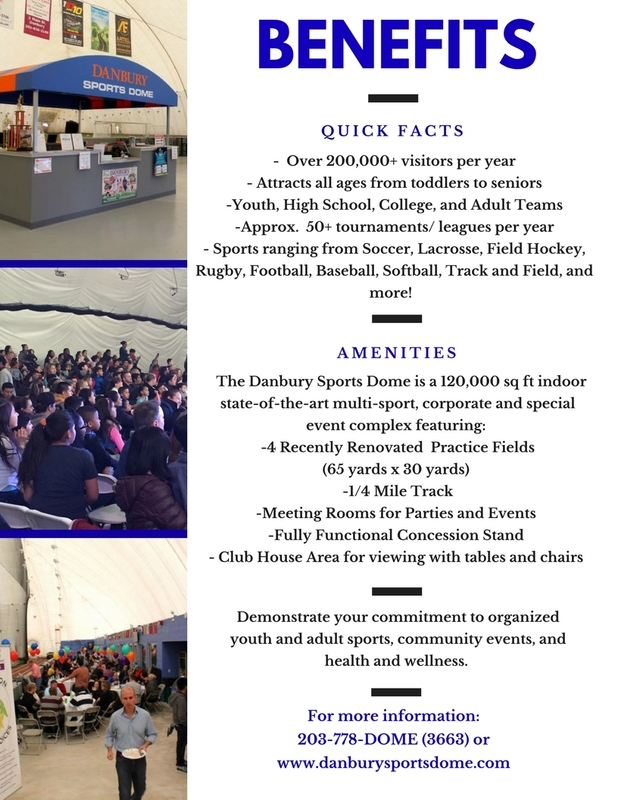 The Danbury Sports Dome is the perfect place to advertise and promote your business or organization. Being open 12 months of the year and catering to a mass audience we have a host of opportunities and packages to help increase the awareness of the local and surrounding communities. 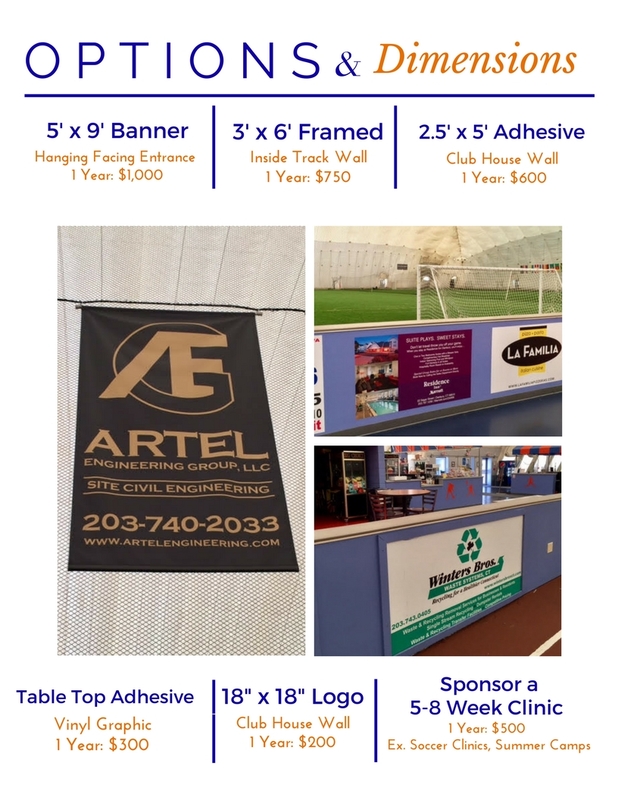 For more information contact : or call 203 778 DOME (3663).